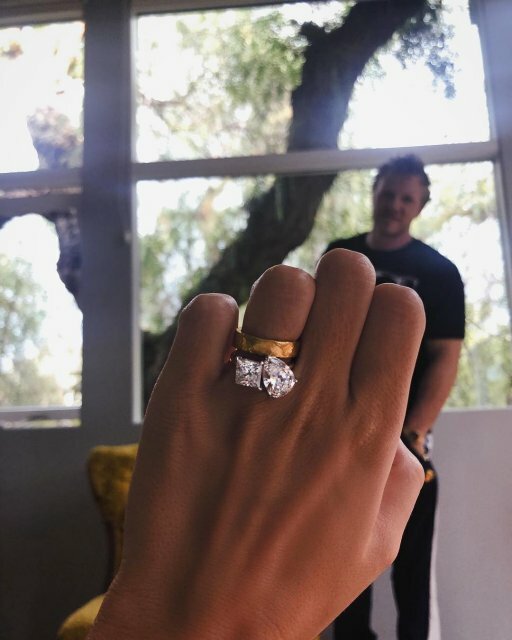 A popular American model and actress Emily Ratajkowski posted on her Instagram a new photo of a wedding ring with expensive stones. 27-year-old Emily Ratajkowski married 31-year-old actor and producer Sebastian Bear-McClard back in late February this year. 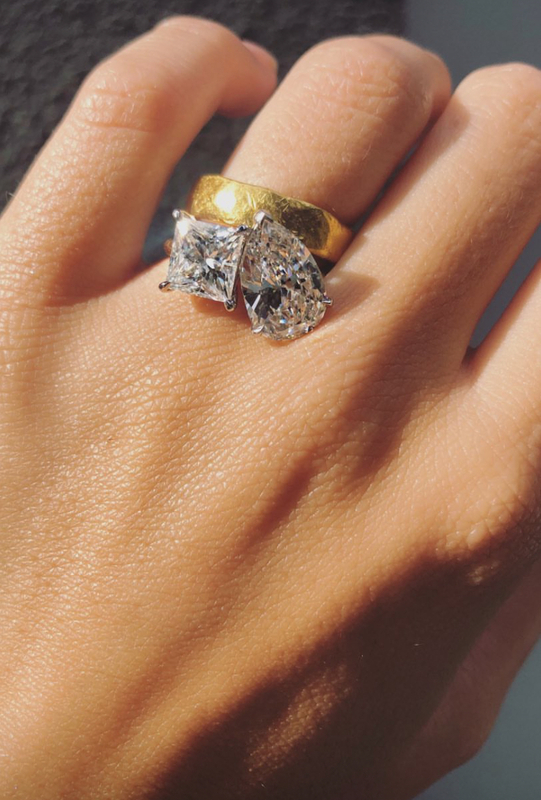 But Emily got her engagement ring only now. As you know, Sebastian proposed to Emily at one of the restaurants. Then the actor had nothing but a clip, from which he made a ring. And after that the couple personally made the rings with the help of a blowtorch. Six months after the wedding, Emily's husband gave her a ring. She spoke, that they wished to change rings soon to "normal" ones, but "can other rings be compared to these?". So, Emily and Sebastian still wear these wedding rings. However, in addition to it there was another ring with two 5 carat precious stones on Emily's finger. In addition, the stones were also of different shapes. It became known that the design of the ring Emily developed herself with her husband. By the way, besides the comments of fans, the popular model Heidi Klum and designer Zac Posen also expressed their congratulations.